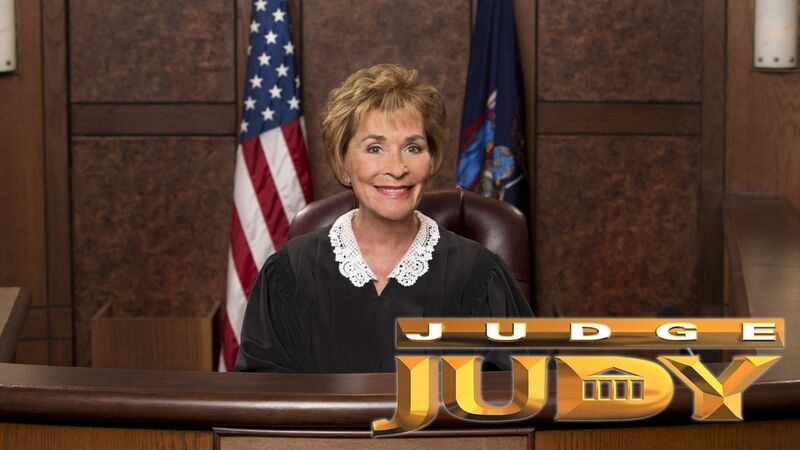 Here's where to watch every episode of Judge Judy season 12. Mouseover or tap an episode to see where to stream it. Click or tap the play icon to stream it on the best available service. s12 Sep 10, 2007 A man hires a private detective to follow his ex-wife; an ex-convict seeks repayment for child support. s12 Sep 10, 2007 Teenagers dispute the trashing of a car; rift between ex-roommates. s12 Sep 11, 2007 A woman accuses her husband's ex-wife of harassment, vandalism and defamation of character. s12 Sep 12, 2007 A former friend accuses a teenager of stealing a hair straightener and hundreds of dollars in cash; bartending-academy classmates argue over a loan. s12 Sep 12, 2007 A woman sues her neighbor for vandalizing her car during a night of drinking; a teen says she had to break a lease because of unwanted sexual advances. s12 Sep 13, 2007 Two women road-rage in the car-pool lane; neighbors argue over car payments. s12 Sep 13, 2007 Feuding ex-lovers dispute accusations of abuse. S12E09 Sep 14, 2007 Co-workers dispute sexual slander, infidelity and harassment; a man denies owing his ex-girlfriend money. S12E10 Sep 14, 2007 A woman sues the father of her child for rent money; a man denies responsibility for damages to a rental car. S12E11 Sep 17, 2007 An underage drinker blames his girlfriend for his financial misfortune; former friends argue over a prank. S12E12 Sep 17, 2007 Two men dispute allegations of pedophilia, attempted suicide and an assault at work. False Restraining Order Sep 18, 2007 Former lovers dispute an assault, an arrest record and a restraining order. S12E14 Sep 18, 2007 A woman fights to get her children back after they are removed from her home due to too many birds; a punch during a basketball game results in two lost teeth. S12E15 Sep 19, 2007 A woman sues her ex-boyfriend for property damage and rent after he secretly lived in an apartment she had to pay for; a dispute between former lovers over a trip to Europe. S12E16 Sep 19, 2007 A woman accuses her ex-husband of stealing her student-loan money; exes accuse each other of hustling, cheating and wrongful eviction. S12E17 Sep 20, 2007 Former tenant accuses landlady of disturbing behavior, assault and unlawful eviction. S12E18 Sep 20, 2007 A widow and former mother-in-law dispute child-endangerment and visitation issues; a woman throws a bat at an ex-lover's car during a fight over an unpaid loan. S12E19 Sep 21, 2007 Mothers feud after a teenager is accused of stealing an iPod; a woman denies intentionally burning down her brother's apartment. S12E20 Sep 21, 2007 A man is accused of lying about needing surgery in order to get money; woman sues her niece for return of a car and niece sues back for property damage and theft. S12E21 Sep 24, 2007 A young woman is accused of slamming her car door into another vehicle; a man sues for pain and suffering after being shot with a BB gun. S12E22 Sep 25, 2007 A teen sues her ex-lover's mother for unpaid bills; former friends argue over a stolen and crashed motorcycle. S12E23 Sep 26, 2007 Former roommates feud over stolen cash and furniture; a woman and her aunt sue each other over wedding expenses and car insurance. S12E24 Sep 27, 2007 Ex-lovers feud over lies about a child's paternity, kidnapping threats and an assault; drama between a divorcee claims a legal assistant fraudulently represented himself as an attorney. S12E25 Sep 28, 2007 Mother sues son for the balance on a truck that he wrecked right after cancelling the insurance; an agreement to trade tattoos for a truck falls apart amid charges of sexual harassment. S12E26 Oct 1, 2007 A woman says her boyfriend pinned her down and threatened her; a woman sues an eBay seller over a fake Louis Vuitton bag. S12E27 Oct 2, 2007 A video camera catches a jealous ex-girlfriend slashing tires; litigants dispute a break-in and vandalism by a teenage babysitter. S12E28 Oct 3, 2007 A baby sitter calls child-protection services; a botched pool-table sale causes a heated debate. S12E29 Oct 4, 2007 A woman sues her grandson for repayment of divorce attorney fees after he reunited with his wife; a woman sues her daughter for the cost of a wrecked car. S12E30 Oct 5, 2007 Mother of a deadbeat mom wants payment from her son-in-law for babysitting her grandchildren; a teen drives a car into a neighbor's chimney. S12E31 Oct 8, 2007 Former friends dispute a broken lease; a man sues his ex-girlfriend for an engagement ring after she married someone else. S12E32 Oct 9, 2007 Neighbors dispute vandalism and public drunkenness; a woman seeks reimbursement from her ex-boyfriend for a trip to Portugal. S12E33 Oct 10, 2007 Woman claims her ex got drunk while she was sleeping and crashed her car with her child in it; neighbors dispute teenage vandalism and stolen car keys. S12E34 Oct 11, 2007 Former neighbors dispute severe damage to a home by intoxicated minors. S12E36 Oct 15, 2007 Neighbors dispute a death threat and a car crash involving children; ex-lovers fight over custody of a beagle, a cat and 50 collector toy cars. S12E37 Oct 16, 2007 A woman sues her much younger ex-fiance for the cost of wedding rings, a video-game console and Christmas gifts; a teenager and her ex-boyfriend argue over a security deposit. S12E38 Oct 17, 2007 Former friends dispute a stolen dirt-bike's sale in exchange for a truck; a woman accidentally killed her friend's Maltese puppy by falling on it. S12E39 Oct 18, 2007 Exes clash over child custody, stolen cash and a truck; a construction worker sues his boss for unpaid wages while she claims his work was substandard. S12E40 Oct 19, 2007 The Judge offers litigant a drug test as his ex claims all their money went up his nose; ex-lovers battle over baseball cards, slashed tires and unpaid rent. S12E41 Oct 22, 2007 Unwed teen parents and a worried grandmother fight over custody and unpaid bills; a woman sues her ex-boyfriend for breaking their apartment lease. Child Abuse Referral Oct 23, 2007 Bruises on a baby's bottom prompt a grandmother to call authorities. S12E43 Oct 24, 2007 Former friends dispute a car-rental agreement; women argue over baby-sitting fees and welfare checks; a woman sues her ex for writing a bad check on a shared bank account. S12E44 Oct 25, 2007 A young man says his car was vandalized by drunken party-goers; exes argue over unauthorized credit-card charges. S12E45 Oct 26, 2007 A registered nurse accuses his teenage neighbor of assault. Boyfriend Spanks Child Oct 29, 2007 A man sues his son for selling a Corvette he was supposed to return; exes argue over a broken lease and the spanking of a child. S12E47 Oct 30, 2007 A woman accuses a man of mooching $60,000 from her but he says he worth it; unwed parents argue over an unpaid loan and accusations of forgery. S12E49 Nov 1, 2007 A meddling mother of a teen mom sues teen dad for loan repayment and damage to a door; a woman sues her ex-boyfriend for the unpaid balance on a dirt bike. S12E50 Nov 1, 2007 A mother denies accusations of child abuse and sues for moving expenses; a teenager says a fellow teen damaged her car during a party wrestling match. S12E51 Nov 2, 2007 A tale of teen angst as young man's current and ex-girlfriends argue over assault and vandalism. S12E52 Nov 2, 2007 Young man sues another man for vandalizing his BMW with a crowbar in a drunken rage. S12E53 Nov 5, 2007 After a teen is stabbed and seriously injured, sisters who are friends of the attacker harass the victim. S12E54 Nov 5, 2007 A woman seeks reimbursement for living expenses after allowing a friend to move in when his wife kicked him out; teen sues her former boyfriend for apartment expenses after she moved out. S12E55 Nov 6, 2007 A man claims he was protecting his family when he beat his neighbor's Chihuahua with a stick; teen sues ex-roommate for spilling a drink on her computer and damaging it. S12E56 Nov 6, 2007 Ex-lovers fight over a cell phone and travel expenses; woman sues her sister for car damages when she ran into a deer, which later provided delicious venison. S12E57 Nov 7, 2007 New Yorkers feud over a bitten-off finger and a vandalized car. S12E58 Nov 7, 2007 Unwed parents dispute an unexpected pregnancy, accusations of stalking and harassment; sisters dispute accusations of fraud, destroyed credit and unpaid bills. S12E59 Nov 8, 2007 A woman says her grandmother's money was a gift, not a loan; a woman sues ex-boyfriend for a large unpaid loan. S12E60 Nov 8, 2007 Men fight over a woman they have both been dating; cousins battle over a state issued check. S12E61 Nov 9, 2007 A woman accuses her ex-lover of assault; a married couple sues a former friend for money he received as an insurance settlement. S12E62 Nov 9, 2007 Ex-roommates feud over a pot bust during a road trip and a vandalized car; couple sues family friend for crashing a golf-cart during their wedding reception. Motorcycle Mayhem Nov 12, 2007 A family drug intervention for a cousin resulted in a broken jaw; ex-lovers dispute the sale of a motorcycle. S12E64 Nov 12, 2007 A tenant is accused of inappropriate behavior toward landlady's teenage daughter; former roommates argue over a broken lease. S12E65 Nov 13, 2007 A woman whose son is incarcerated sues her daughter-in-law for living expenses; a teenager crashes a friend's mother's car into a convenience store. S12E66 Nov 13, 2007 A man sues ex-wife for punching his car in a rage but she claims she only leaned on it. S12E67 Nov 14, 2007 A man accuses his brother of smashing him in the head with a wooden bowl; a musician is accused of ruining a party when his music offended the guests. S12E68 Nov 14, 2007 Woman who borrowed money while waiting for an settlement check doesn't feel obligated to repay the loan; exes argue over unpaid rent and bills. S12E69 Nov 15, 2007 Ex-husband is accused of slashed tires and an assault; former friends dispute insurance fraud, a car crash and bad credit. A Fight Over a Sweater Nov 15, 2007 Parents argue over liability and intent after a child is beaten by another boy; mother sues her daughter's friend's dad over an impounded car. S12E71 Nov 16, 2007 A man accuses his ex-wife's lover of burning a child with a hot iron; a young man denies owing a friend for bail money. S12E72 Nov 16, 2007 Attendant is accused of assault after preventing a pedestrian from walking through her lot; ex-lovers fight over a loan for legal fees and child support. S12E73 Nov 19, 2007 Teenage former lovers argue over loans and an assault; an ex-boyfriend is accused of breaking a cat's leg by throwing a TV remote. S12E74 Nov 19, 2007 Former fiances argue over criminal charges, lawyer fees and stolen property; a man claims that his ex-girlfriend's check was not for court costs even though it happened to be written on his court date. S12E75 Nov 20, 2007 Woman and her granddaughter's mother argue false charges to a probation officer, accusations of child abuse and a stolen credit-card number; ex-roommates contest a broken lease. S12E76 Nov 20, 2007 A teenager's ex-girlfriend accuses him of vandalism. S12E77 Nov 21, 2007 A rented Jet Ski is damaged at a high-school graduation party; a man wants his former friend to repay a loan she needed for her gambling problem. Unauthorized Credit Card Charges Nov 21, 2007 A young woman sues for the return of clothing; ex-lovers dispute unauthorized credit-card charges. Casino Won't Pay Out Jackpot Nov 26, 2007 A slot-machine jackpot winner is accused of tampering with the game; divorced parents fight over a used car. S12E80 Nov 26, 2007 A brutal assault between a man's ex-wife and current wife. S12E81 Nov 27, 2007 Ex-lovers argue over the illegal seizure of a car and damaged credit; sister sues brother for his share of their mother's expenses. S12E82 Nov 27, 2007 Ex-lovers fight over personal property; artists claim one of them embezzled money raised to start a community art center. Engagement Ring Return? Nov 28, 2007 Former fiances fight over an engagement ring; teenager sues former friend for having her cash two bad checks. S12E84 Nov 28, 2007 Ex-lovers fight over start-up money for a tattoo shop; former friends dispute accusations of shoplifting, drug addiction and bail money. S12E85 Nov 29, 2007 Ex-lovers argue over loans; a woman sues her daughter when her home is used as collateral to bail a boyfriend out of jail. S12E86 Nov 30, 2007 A landlady accuses a tenant of trashing her home; unwed parents dispute drug charges, child support and control issues. S12E87 Dec 3, 2007 Exes argue over a truck bought with inheritance money; woman accuses her ex-boyfriend of racking up $6,000 in credit-card charges. S12E88 Dec 4, 2007 Babysitter sues former client for fees, stolen property, and harassment; a couple sues their son's wife for money they paid to bail him out of jail. S12E89 Dec 5, 2007 A woman sues the father of her child for the loss of an apartment and personal property; a woman sues her ex-boyfriend for the cost of a motorcycle. S12E90 Dec 6, 2007 Half-sisters fight over a shopping spree; a woman doesn't want to repay her nephew for a loan to pay her son's legal fees on a murder charge. S12E91 Dec 7, 2007 A former couple sue each other for damages after a fight; a college student wants repayment of money he loaned his mother to pay her mortgage - she says she owes her ungrateful son nothing. S12E92 Dec 10, 2007 Ex-lovers dispute a stolen diamond tennis-bracelet, home-sale fraud and illegally pawned belongings; a couple say their teenage daughter was used to cash a counterfeit money order. S12E93 Dec 11, 2007 Heads up! A teenager gets a concussion after being thrown into a pool at a slumber party; a woman sues her date for damages after he drops her on her head at a wedding reception. S12E94 Dec 12, 2007 A man sues his ex-wife for disability money he thinks she collected while caring for their injured son; a couple insist they do not owe money to a widow who paid their bills. S12E95 Dec 13, 2007 Childcare provider sues client for unpaid wages; cousins feud over a pit bull and a stolen stereo. S12E96 Dec 14, 2007 Evangelist insists a homeless teenager owes for room and board at the homeless shelter; a man accuses his ex-girlfriend of damaging a door and getting him fired. Ex Sues for Household Bills Dec 17, 2007 Woman sues ex-boyfriend for household bills; sisters accuse each other of unpaid rent and destroyed credit. S12E98 Dec 18, 2007 A mother says her 28-year-old son abused the credit card she gave him for emergencies only; a man sues his ex-lover for reneging on a loan for a big-screen TV. S12E99 Dec 19, 2007 Ex-lovers and their family members feud over calls to Child Protective Services and a poker table; a drunken man assaults someone he thinks stole his cell phone. S12E100 Dec 20, 2007 A woman wants former daughter-in-law to repay a loan after the end of a 15-day marriage; a landlady and former tenants argue over a filthy apartment and accusations of domestic abuse. A teenager is beat up; a personal loan Case 1 - A teenager accuses another boy of attacking him.Case 2 - A women sues her former friend for a $5000 loan to pay his bills. Abandoned car; repossessed vehicle Case 1 - A women sues her former friends for taking her car without permission, and driving it into a ditch.Case 2 - A women sues her former friend for illegally repossessing a car that was in his name. Teen sues former roommate for slander Case 1 - A 19 year old sues her roommates for household builds, a rental deposit, and slander.Case 2 - A women sues her ex-boyfriend for a cellphone bill she paid on his behalf.